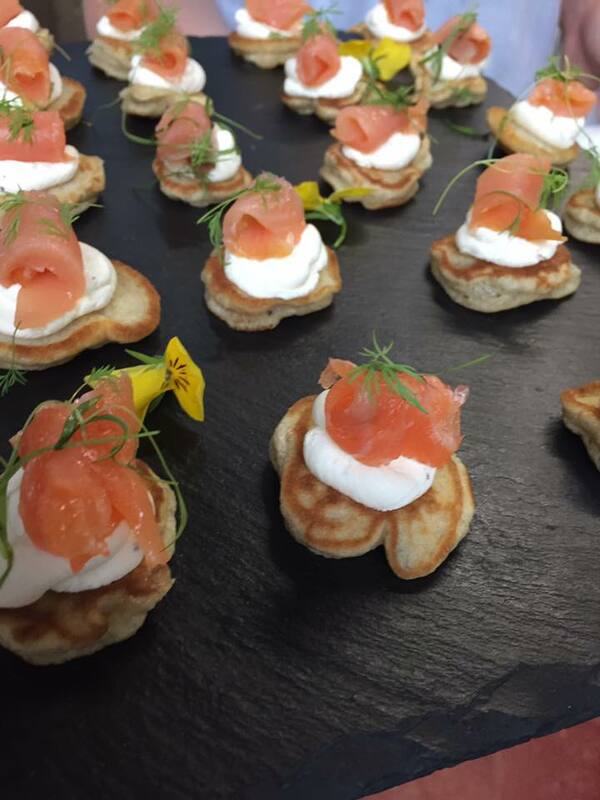 On Saturday 22nd December, we had the pleasure of catering for the wedding of Sarah and Steve at Hayne Barn, near Zeal Monachorum. 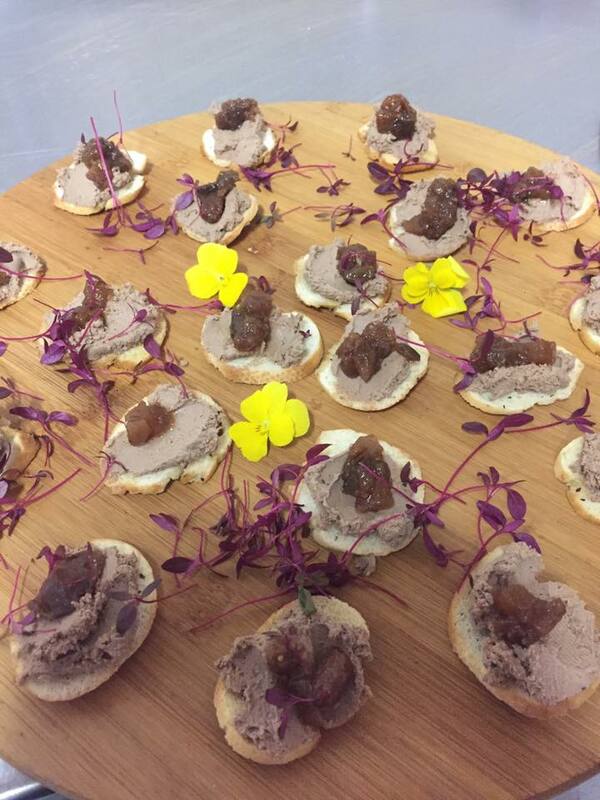 The couple married in the barn at Hayne, before celebrating with drinks and a selection of our homemade canapes in the conservatory. 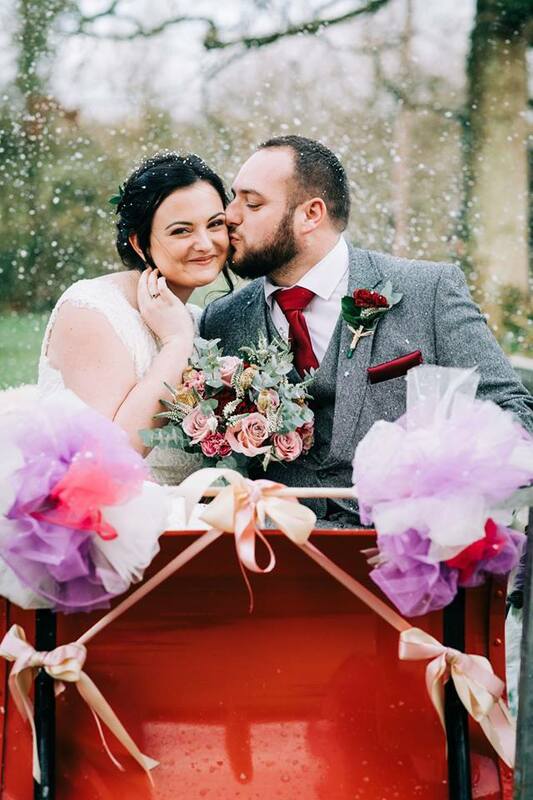 The weather was kind so they even managed to get some photographs outside and Steve even surprised Sarah with a sleigh and snow. This lovely photograph was captured by Fraser Marchbank Images. 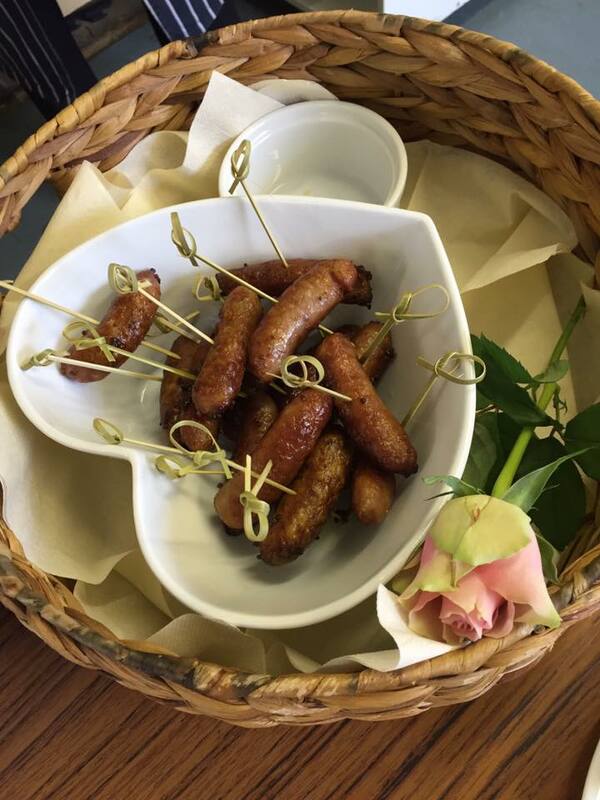 …and miniature butchers sausages with a honey and wholegrain mustard glaze. Jo then called the guests to take their seats before announcing Steve and Sarah into the room with a rapturous applause. 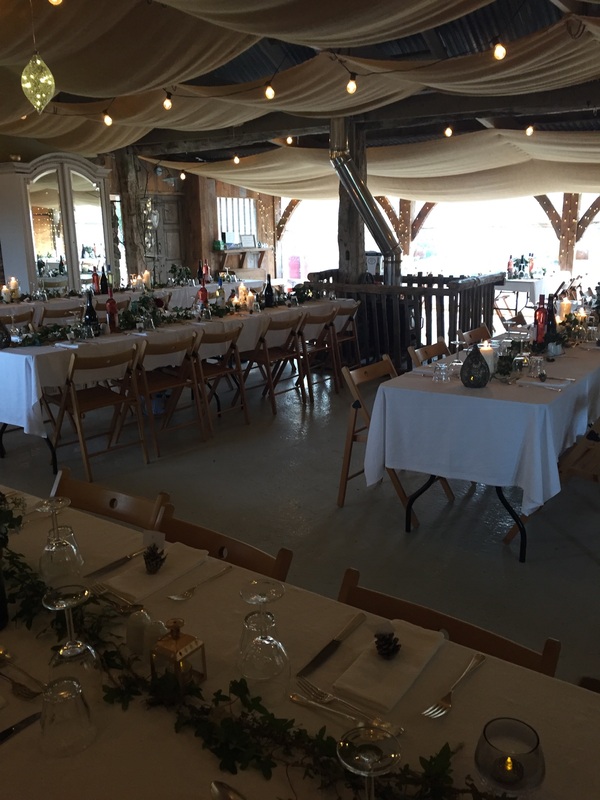 The barn was decorated with lots of greenery and candles, adding to the cosy atmosphere. For the wedding breakfast, we served warming individual steak and ale pies with steak sourced from our local butchers here in Okehampton; chicken supreme, sourced from Creedy Carver near Crediton, with a bacon and brie sauce; and sweet potato, mozzarella, sun dried tomato and basil filo tart with homemade pesto along with dishes of Caroline’s crispy roast potatoes, carrots, broccoli, green beans and braised red cabbage. 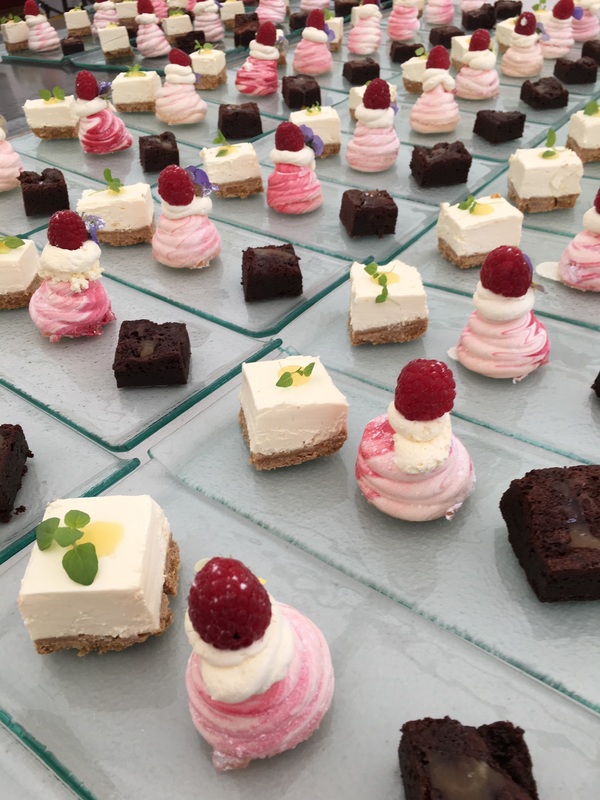 To follow, we served a trio of desserts which included rich chocolate brownie, baby raspberry pavlova and lemon cheesecake topped with lemon confit along with bowls of Devon clotted cream. We finished with steaming cups of freshly brewed English breakfast tea and fresh filter coffee ready for the speeches to begin. 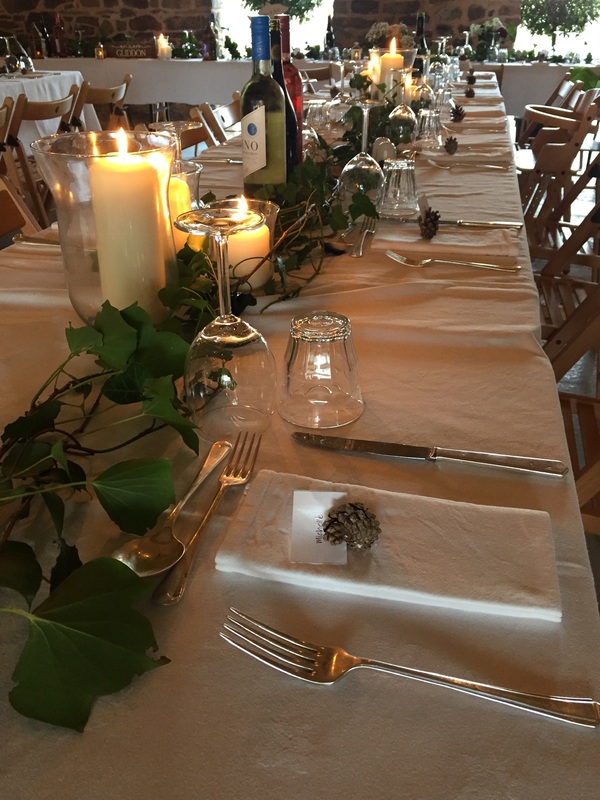 In the evening, we cleared the tables ready for the evening guests to arrive. With all their family and friends with their cameras at the ready, the happy couple cut their wedding cake. 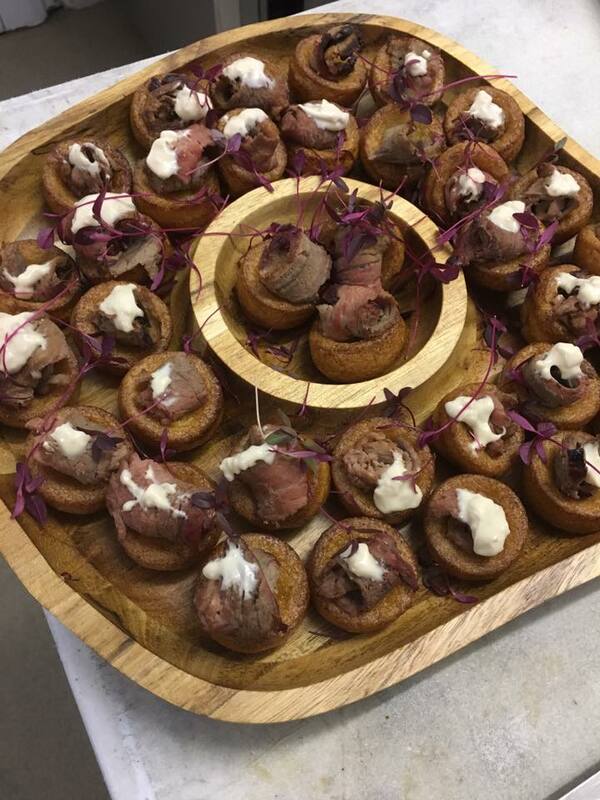 We served miniature steak and potato pasties and cheese and onion pasties along with sauces and homemade chutneys, ready to fuel those all important dance moves. Thank you Sarah and Steve for letting us be a part of your special day and many congratulations to you both, once again. Do you have your heart set on a Winter wedding? We have some availability remaining for Autumn/Winter this year and next year is filling up. 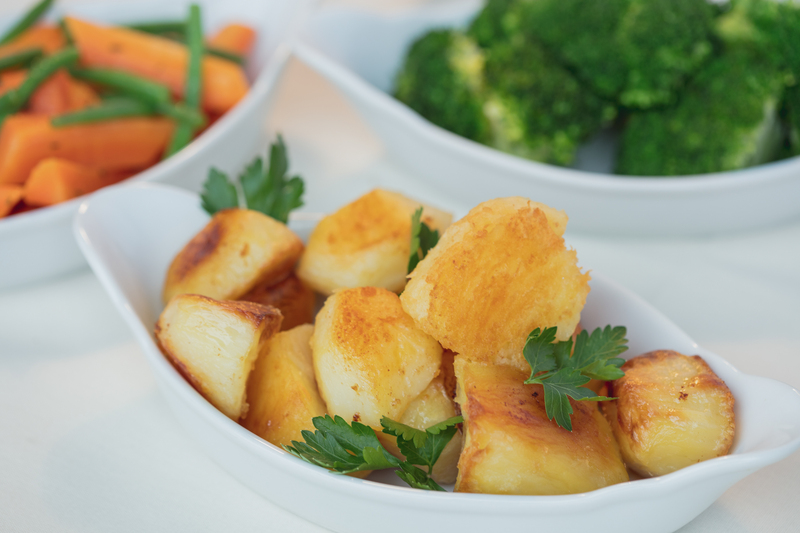 Get in touch to discuss your day and ideas, we would love to talk to you.